My name is Rachel, and I was fooled by Kerrie Allman. I’m a bit ashamed to admit it, but I gave her TWO of my designs, both of which she published in her magazine. She never paid me for the first one, but I gave her the second one anyway. She never paid me for that one either, and it seems unlikely I ever will get paid. You needn’t feel compelled to read through all the details. However I do wish to say that I lay blame for everything that happened to me personally and to many other designers and crafters squarely at the feet of Kerrie Allman. By all accounts she is a persuasive and charismatic person who is able to convince people that she is not at fault, and that others are unfairly targeting her. I leave that judgment up to each individual. However, if you are considering ANY BUSINESS of any kind with this woman, I urge you to reconsider, research, and reconsider again. She has conned so many people out of so much money, and has gotten away with it again and again. Don’t be a fool like me. Fall 2010: I had an idea for a baby dress, and started a prototype. I submitted the design idea to Yarn Forward (now defunct/transformed), and was accepted. I was still relatively new to designing, so I was very excited! I discussed yarn types and colors with the editor, and soon enough yarn was winging it’s way to me from the U.K.
Oct 19, 2010: I received the yarn for the sample, and cast on right away for the sample baby dress. I finished as quickly as I could manage, and ran a quick test knit in Free Pattern Testers. Once I was satisfied the pattern was as close to perfect as I could make it, I sent off the sample and the pattern — all in good faith. My contract specified that I would be paid (£80) within 30 days of publication. Then began the waiting. I worked on multiple other design projects, and had zero communication from anyone at the magazine. 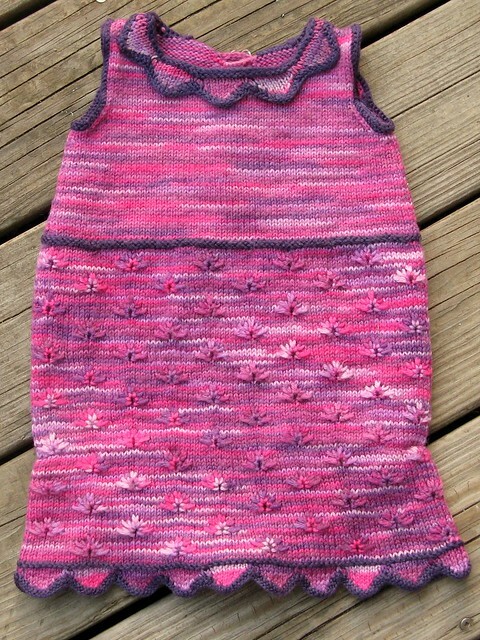 July, 2011: Oh look, a pattern page for my baby dress popped up on Ravelry! Sure enough, the pattern had finally been published, but in #38 of “KNIT Magazine” — not the magazine I had originally contracted with. I waited patiently to get paid …. It was a long wait. Starting in late August, I began sending polite emails, asking if they needed any additional information, and so on. I never got any kind of satisfactory response — regardless of who I spoke to, I was variously told “soon” or “we need your paypal info” (again) or “we need a new invoice” or other such things. Naomi has brought to my attention your outstanding invoice which unfortunately I do not have a copy of. When KAL Media Limited went into liquidation, I took over all of the outstanding payments. I do not have an invoice for you, would you please kindly send it to me by return and I will add it to the KAL Media outstanding list which All Craft Media are considering paying in order that the designers do not miss out, but payment will not be immediate. Thank you for getting this across to us and for your understanding in the matter. Mandy has come back from the Christmas break to a sea of emails, so if you could you let me know the issue number that your design was featured in (this pre-dates me as Editor!) and I’ll arrange for the PDF to be sent across to you – Mandy will be in touch shortly regarding your payment. If you have any more design submissions then please do send them across, I’d love to see them. Thank you for sending me your invoice. Unfortunately this invoice is for KAL Media Limited the previous owners of Knit magazine and went into liquidation. We are unable to pay invoices for KAL Media Limited, however, if you are looking to design for us at All Craft Media Limited, we may be in a position to add the amount owed to you by KAL Media Limited to any future commissions. Now that I understand more about what was going on, I’m especially frustrated with myself for failing to be more pushy. Although my “contract” was with KAL, issue #38 (with my design in it) was put out by ACM — even the photos on Ravelry still have “© All Craft Media” below them. But, at the time, I wanted to be polite and cool — the knitwear design world is TINY and I did not want to get a reputation for being difficult to work with. Also, I wanted the PDF for my baby dress — I thought at the very least, I could self-publish on Ravelry. you and get an up to date pattern template over for completion. Have a lovely weekend Rachel and speak soon. To be perfectly honest, I was flattered that they wanted the cardi. I was happy that I’d be getting paid for the baby dress. And, I was able to congratulate myself on being reasonable and professional. Oh, how I wish I hadn’t been! I had some pleasant back-and-forth conversations with Naomi about deadlines and yarn. We settled on a brand, and on end-of-March as a deadline. 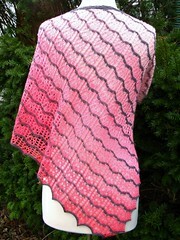 The lacy cardi is knit up, washed, and is blocking (may take a few days, cotton being cotton). If I mail early next week, what address should I use? Going back to the berrie pie baby dress, I think you said you might be able to get the PDF to me … any progress on that? Sorry I haven’t got back to you – this message made it to my spam folder! If you’d be so kind as to remind me of the issue number again, I’ll get this sorted tomorrow for you, too. I replied that I had been waiting for the correct address, so I would send to the new one. I also re-iterated the issue number for the baby dress. I received a PDF for the baby dress pattern, which was broken (didn’t open). After some back-and-forth, I got a good copy and was able to put it up for sale on Ravelry. There was a period of no communication, which by now I’d come to expect. I have your Berry Pie dress here. I wondered if it would be ok to return this, along with the Elderberry Cardigan (I know how much you liked it!) three months from publication? If you’d like it back sooner, I’m happy to return it. Just checking in – have you sent the samples back yet? I’m always anxious about the mail. I was happy to see my cardigan on the cover! Very cool. My local bookstore stocks KNIT so I’m looking forward to picking up a copy. The internet is rumbling again about some designers not getting paid … can you confirm that I’m on the “will be paid” list? Sorry to have to ask, but I hope you understand, since the payment for Elderberry is supposed to cover the non-payment for Berries Pie as well. I never heard from Naomi again. Of course I now know that ACM “went into administration” (which is, I think, UK for “foreclosure”) on May 4th, 2012. 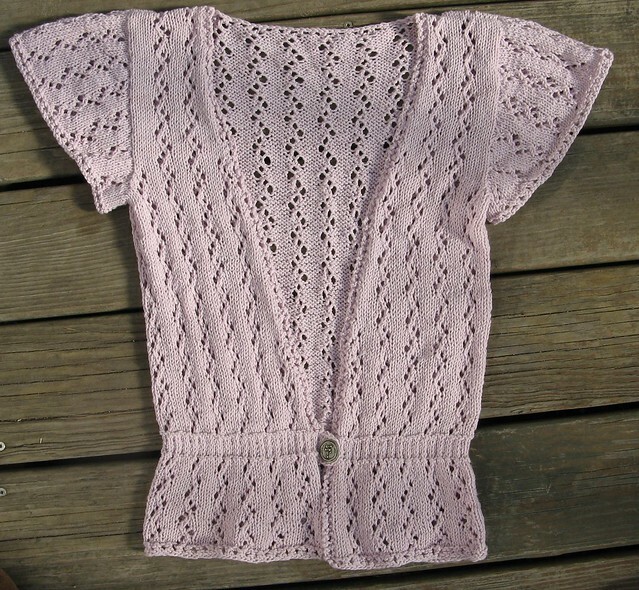 I did receive an edited version of my cardi pattern from a freelance tech editor (who was also not being paid). She let me know what was going on, and pointed me at the Ravelry group Friends of the group once known as, which has been a great resource and source of consolation in this whole thing. I haven’t been totally on top of all developments, but I did hear about an opportunity to get back sample knits … during a two-hour window, in the UK, at the offices that were being shut down. I managed to get in touch with another designer who was able to get to office during the open window, and she claimed my cardi for me. She looked for the baby dress, but only found a letter (from Naomi, ironically) indicating that it was being returned to me along with the cardi. The cardi has since been mailed back to me — a real testament to the GOOD that can be found in groups of knitters! — and my baby dress sample has been located and is on it’s way back. Somewhere in the middle of all this, the cardi was published in KNIT #49 — salt in the wound, if you ask me. The pictures weren’t very good, so I took some new ones this past weekend — I strong-armed a tiny friend into modeling for me at a wedding we were both at. I despair of ever getting a formatted PDF of this pattern from KNIT, so I formatted and published my own version, on Ravelry. A couple things … I don’t blame any of the other people who were also fooled by Kerrie Allman, and who helped her steal and cheat. From what I understand, they are just as much victims of her as the rest of us. I also want to say that this experience has been a glaring exception to my general experience with magazines and yarn companies. I am pleased to report that every other magazine, web publisher, and yarn company I’ve dealt with has been wonderful and timely — and they have all paid me, on time or sooner. As a fairly new designer, this is eye opening. Thanks! You’re welcome! I hope you never have to deal with anything like this. This is all just a horror (and making me nervous about an unpaid situation of mine). I hope your very gracious exposure of this nastiness will be resolved in your favor. None of us are “raking it in” enough to excuse this callous disregard for the hard work that goes into designing. Thank you Heather! I will cross fingers for you … in my case, there’s nothing really to be done, I think. The size and scope of this particular debacle is truly staggering. I’m sharing more to “do my part” to protect other small-time designers and crafters. FWIW Kerrie has apparently bought back three of her mags, all sewing-related. Sewists everywhere should beware! Thanks for the heads up, for myself and others! So sorry you\’re going through this. It has happened to me a couple times in my writing career, and while the experiences have been painful (esp. to my bank account), I\’m definitely more cautious and quick to smell B.S., which are good things. I did some quick searching on Kerrie Allman\’s name — good for the knitting/designing community for calling her out publicly. What I want to know, though, is how is she and her family getting away with setting up new companies? Can\’t the administrators smell rotten fish every time they\’re called in? Maybe someone who knows something about British business law can chime in. The Ravelry community is trying hard to give the Administrators enough information to do something real. Part of the problem is that each individual debt is so small — for example, it would not be worth my getting a UK Lawyer (barrister?) to try to get my couple hundred bucks. Also, we suffer from being dismissed as “a bunch of ladies with pointed sticks” — it’s too bad, but it’s true. Everyone who has actual knowledge/proof of actual crimes has been encouraged to document and write to the administrators; some people have also been contacting fraud agencies and so on. Judging from her blog, she still is trying to convince people she’s being unfairly targeted. There’s a lot of “wah wah poor me but I said I’m sorry” in her words. Word of advice anyone passing by and considering contributing to her next planned business venture, steer clear. Yup, her resumption of blogging has outraged and frustrated many! It is stunning how oblivious she is to the pain and heartbreak she caused so many people. Reading the group on Ravelry has been enlightening. It is clear that she behaves like a sociopath in many areas of her life. This makes me so ill; You must have a terrible taste in your mouth. I have never heard of anyone being treated so horribly. I am proud of how my company handles outside designers and testers– we may not be the fastest but sooner or later everyone gets their money. It is really good that you brought this out in the open, too, because we are a small community everyone needs to know who is reputable and who isn’t. Thanks Vanessa. I know I had a good experience with you & Plymouth — no complaints here! I’ve been so immersed in reading about the Debacle on Ravelry, I didn’t realize that there were still plenty of people who hadn’t heard. I had been feeling a bit repetitive to be posting about it “again,” but now I’m glad I did. Rachel, I am so sorry that you had this experience. Your designs are lovely–and no one should be ripped off in this way. But, oy, vey! I can’t believe that woman (almost wrote “cow”) is still able to con her way into business. I wasn’t a designer, but was trashed by her fraudulent business practices when she was dyeing (remember HipKnits), and when she started Yarn Forward. I wanted (and still want to) support indie craft businesses, and I think she was one of the first to exploit (and I do mean exploit) the internet. [Is it possible that the kids and the husband and the health issues and the other members of her family were just simulations? :)] Fortunately, I have never had another experience like it. Back then, you could email her personally, and I did, persistently and politely, and was able to get my money back (for yarn not delivered) and copies of magazines I was owed. But the “oh, poor me” emails (I wish I had saved them, they were classic narcissistic nonsense) were enough to make me puke; and I got tired of hearing excuses about the Royal Mail, etc etc. I have been involved in the investment business over the years, and am sad to report that there are plenty of these scamsters around, even in public companies that are supposedly regulated by the SEC. They rely on flying under the radar of the regulatory agencies so that they can continue to trash their clients and staff, go into bankruptcy, rear their ugly little heads once again in a new business, recruit new dupes as employees and customers, and then move on again when they have milked all they can. I’m sorry you were among the burned! My hope is to be a small part of the growing “noise” that will make it harder (and maybe even impossible) for her to do this again. I “liked” this post not b/c of what happened to you but that you were willing to share your experience with us. I am sorry this happened to you; it is unconscionable! I understand — thank you! Great blog post. Even after all that’s happened, I’m still shocked at the way designers were treated. Interesting to see the email from Mandy – she worked for KAL before they became ACM so she wasn’t being exactly honest in her comments to you. Veeerrrry interesting … at this point, I’m never sure who is a real person and who is another alias for Kerrie. I take it you’ve met Mandy? Sorry you got caught up in the ACM debacle too. I think they relied on new designers being keen to get published and too worried about kicking up a stink. I lost patience with them over a year ago when I posted about it on Ravelry and was shocked at how many people were owed money. I’d already sent in several designs due to be published so couldn’t withdraw them. I got paid for everything by September but I had to fight for it and collected checks from Kerrie at a couple of shows last year. Even then she was very nice to me. She even asked me if I was interested in supplying yarn for the sock club last year when she already owed me over £500 in design fees. I said no. I hope she will eventually be stopped but it looks like her next target is the sewing world as it appears she’s bought back the sewing/quilting mags. See my blog for more details if you’re interested. What they paid you for that cardigan, which was beautiful, was way too little. Don’t sell yourself short. You deserve more money than that. You mean what they didn’t pay me for the cardi? I’m shaking my head at myself, trust me. I am gradually learning to better value my work. It’s telling, that I am so surprised every time I hear about someone who DID get paid. Congrats on your perseverance paying off! I really, really hope that we can help inform the sewists out there so they don’t get scammed. thank you for blogging about your experience with Kerrie Allman. Your designs are lovely and I hope that you find other, more professional, more honest companies/publishers to deal with in the future.